Drink pink during Breast Cancer Awareness Month. It’s cold and flu season again. Cough. Here’s hoping that the flu shot works, but for a little extra protection, you might want to pick up a few of those Emergen-C packets on your next grocery run to Whole Foods. The powder turns any drink into a fizzy, vitamin-packed supplement that boosts energy with mega-doses of C and B vitamins. And this month, it does more than just fight colds. 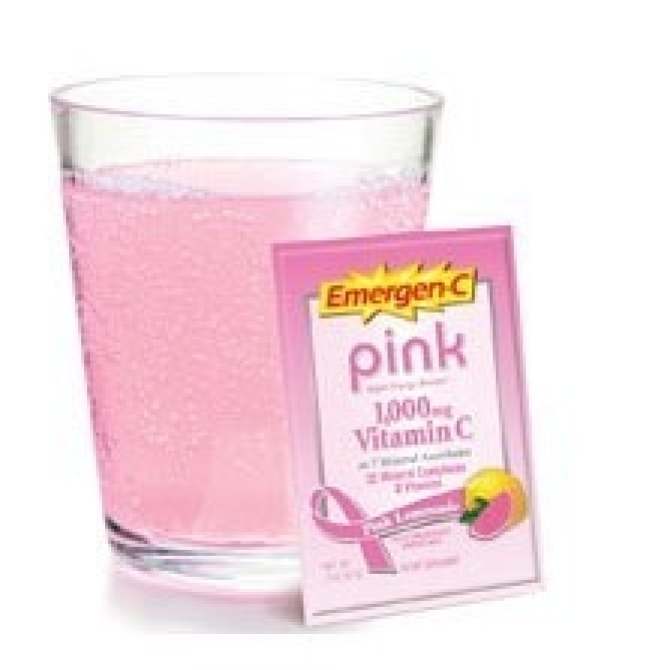 The new flavor, Emergen-C PINK, supports the fight against breast cancer. Fifty percent of profits from your purchase go to the Keep A Breast Foundation, which seeks to educate young women about prevention and early detection.